Ten years ago, in the early hours of New Year's Day, seven year old Samantha and her next door neighbor, Remy, watched as a man broke into Sam's home and took her younger sister, Turtle, from her sleeping bag. Remy and Sam, too afraid to intervene at the time, later identified the man as Sam's sister Gretchen’s much older exboyfriend, Steven, who was sent to prison for Turtle's murder. Now, Sam's shattered family is returning to her childhood home in an effort to heal. As long buried memories begin to surface, Sam wonders if she and Remy accurately registered everything they saw. The more they reexamine the events of that fateful night, the more questions they discover about what really happened to Turtle. Neighbours Samantha and Remy were only seven years old when their world irrevocably changed. It was New Year's Eve and while the adults were upstairs partying long into the night, a man in a Santa suit smelling of alcohol slipped through the sliding basement door and took Samantha's younger sister Tabitha, sleeping between the two children. A manhunt was in place, but the child affectionately known as Turtle was never found. Ten years later, and Sam and her family have returned to the house in which Turtle was taken, with a new sister who is now the light of her mother's life. Her father is unemployed, her mother is resentful and as Sam and Remy rekindle their friendship, they start to revisit the night Turtle was taken. As a man fights for his innocence on Death Row, they start to realise that the man convicted may not have been the one who had taken Turtle. So if he isn't guilty, then who is? 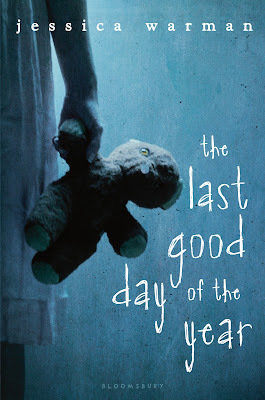 The Last Good Day Of The Year was an incredibly compelling read. The storyline begins on New Year's Eve ten years prior, when a man in a Santa costume lifted then four year old Turtle from her sleeping bag, lying between Sam and next door neighbour Remy while their parents celebrated the new year. By the time her parents understood what had happened through their drunken stupor, Turtle had vanished along with the man who had taken her. Ten years later, and the family are once again faced with the distress of Turtle's disappearance as they move back into their former home due to financial hardship. With a new family member, five year old Hannah who is seen as Turtle's replacement. Sam's mother harbours resentment for older sister Gretchen, now married but experiencing marital issues. Although back living at home, Gretchen spends most of her time with neighbour and best friend Abby as she cares for her ill father. Her former boyfriend was convicted of Turtle's disappearance but remains absolute in his innocence. Even though the storyline follows Sam's before and after perspective, her family unit is a pivotal part of the storyline. Relationships are broken as Sam's parents attempt to pick up the pieces of their lives ten years later, resuming their friendship with the neighbours, Remy's parents who were present on that fateful night. But it's Sam's friendship with Remy that she wants to rebuild. Torn from one another as seven year olds and having not stayed in touch. Remy has moved on and now has a girlfriend, but it isn't long until their shared experience drives the two now seventeen year olds back together. The storyline was incredibly unnerving. A child brazenly taken but no body was ever found. The family still live in hope that Turtle may still be alive, the man having been committed still pleading his innocence even days before he is to be sentenced to death. I couldn't tear myself away. The storyline left me feeling both restless and anxious, the emotion of Turtle's disappearance and both Sam and Remy reliving that night having taken a toll on my nerves. Among the main storyline, we also see glimpses of the unsolved case from crime author David Gordon, who published a book about the trauma of the four year old's disappearance. It adds an extra element of emotion as the reader can see how others have perceived the case, rather than just from the family that remains behind. More mystery than thriller, the storyline was completely engrossing. I really enjoyed the switch from before to after the event as it added to the tension throughout the storyline. But unfortunately it was the crescendo of the storyline which left me feeling disappointed. Although disturbing, it was anticlimactic and confusing. Turtle deserved justice and as a reader, I don't feel as though it was achieved. Those who knew what happened to the then four year old, not one person had spoken up and lacked the action slash reaction growth and learning curve. The epilogue was unexpected and I still don't know why it was truly needed, as it raised more questions than answers. The Last Good Day of The Year is an engrossing read, a pacified mystery that will leave readers feeling uncomfortable and unnerved. Although the ending felt rushed and lacked the shock factor that most readers will expect, it's the emotional journey of The Last Good Day Of The Year, rather than the destination. Seems like a compelling read! Will look into it... good review. Thanks Mareli, would love to see what you think of it too! I have this one to read and I had noooo idea what it was about. SO NOW I'M INTERESTED. I do like books about kidnappings because I think the "not knowing" is about the worst thing that can happen in ever. (Okay, I just said "I LIKE" but I don't like...erk. You know what I meeeeean.) Ahem. But I didn't have much success with The Leaving recently, tho. :( Sometimes thrillers like these can be way too anti-climatic with reveals which is sad. Yeah, it's the ending which usually lets them down unfortunately. But the overall storyline is really good. It gives you that creepy feeling, but it's enthralling. I really enjoyed it, just let down by the ending sadly. Oh this sounds super fascinating! It kind of makes me think of the book that recently came out The Darkest Corners by Kara Thomas too - that was a GREAT one. Ooh, I haven't hard of that one Lauren, I'll have to check it out. Thanks for the recommendation! Oh, I understand the feeling completely. I've started reading I'm Thinking of Ending Things - in a word, creepy. But it's ominous so I can't quite enjoy it because I've overcome with nervous energy. Brilliant review, Kelly! That's exactly how I felt reading this one too Joy. It's that feeling of helplessness too, you know something's coming but not sure what and you have to refrain from flipping pages like a madwoman just to find out what it is. I must admit, even being young adult, I found myself feeling as though I was being watched. Creepy. I couldn't even imagine being a parent / sibling and having to go through that. The ones left behind never knowing what truly happened. It does reveal itself by the end, but it was a bit anticlimactic sadly. Still and enthralling read nonetheless Ailyn, well worth the read. Fiction like this kills me, because stuff like this happens too often in real life. That's too bad about it being anti-climatic, though. Me too Christy. How children and snatched everyday, especially in foreign countries and how families never recover from such devastation. It could have been a case plucked from the headlines. Really intense and eerie. Awww yes I'm reading this one now, so exciting. I've really been getting into thrillers lately, I just love the fact that they're so GRIPPING. Because I have such a short attention span lol. It's completely gripping isn't it. I read it with my heart in my throat and it gave me the creeps too. Can't wait to see what you think of it! Just looking at the cover gave me goosebumps (well the creeps actually). Then I read the synopsis and thought 'Oh no, nope, danger, danger! Heartbreaker!!' I don't think my nerves could handle this one at the moment. Yeah, it's mild but still creepy. I'm not sure if I had children of my own that I could read it actually. Even as an adult I found it tough to read in places and to be honest, I was super jittery too. I was sent this but haven't been able to bring myself to read it. It seems like one of those where being a parent makes it so much harder to deal with the storyline. It doesn't have a Lovely Bones style cop out ending, does it? It does give readers closure and has a finality to the ending, but it's just a little anticlimactic. Even being young adult, parents will still find the storyline incredibly creepy and confronting. To be honest, if I had kids of my own I probably wouldn't have picked it up. Oh gosh. The concept is so terrifying. I can just imagine how mysterious it is. I like that it's emotional though it's a shame about the rushed ending. I'll have to look into this one, Kelly. It's still well worth the read Nick, my goodness it was eerie. This sounds AMAZING. I'm going to have to get my hands on it. So terrifying in concept, but it definitely seems like it would be worth a read. It truly is Elizabeth. I think this might be one strictly for childless readers. Even though it's pretty mild, the eerie feeling will leave parents on edge. I'd love to see what you think of it! I think you'd really enjoy this one Zoe, I know you love those thrillers. I find most of my recommendations from you actually. You seem to be able to sniff out the awesome ones. I read this one awhile back and struggled to remember the details. I definitely agree that I was expecting a much better ending than the one I was given. But maybe that is life? I guess I just don't want reality to be in my fiction though haha. Glad you enjoyed this one though Kelly! It was just a bit meh. It had the potential to completely shock readers I thought if the storyline had of gone in another direction. I wanted that emotional impact sadly. It was still an enthralling read, just let down by that ending. Oh I've been craving a good whodunnit novel for a long time now although it is sad that the great reveal isn't that great at all. The clever reveal is the part I most look forward to! Yet I appreciate how much the novel must play into emotions - and looking at outsider perspectives as well as what happens to the relations between the family in the aftermath of such a horrific event? I'd love to read it just for that. That's what really created that atmosphere for me, the little snippets woven through. Talking about the trial, the family and seeing it from a perspective outside the family unit gave the overall storyline an incredibly sinister feel. I was SO interested until you mentioned the ending was a bit of a let down. I'll still have to keep an eye out for this one though, since I really do enjoy those kind of psychological thrillers. I'm interested to see how the multiple perspectives play a role in telling the story of the kidnapping! It's still well worth the read though Chelsea. I found the multiple perspectives added that extra creep factor. I was surprised how on edge this book made me. Would love to see what you think of it. Oh Kelly, I love the sound of this book! Exactly my sort of read! Ohh yes! I think you'd absolutely love this one. It's slow to creep up on you but leaves you on edge.